4k00:37Night to day / sunrise time lapse of NYC. 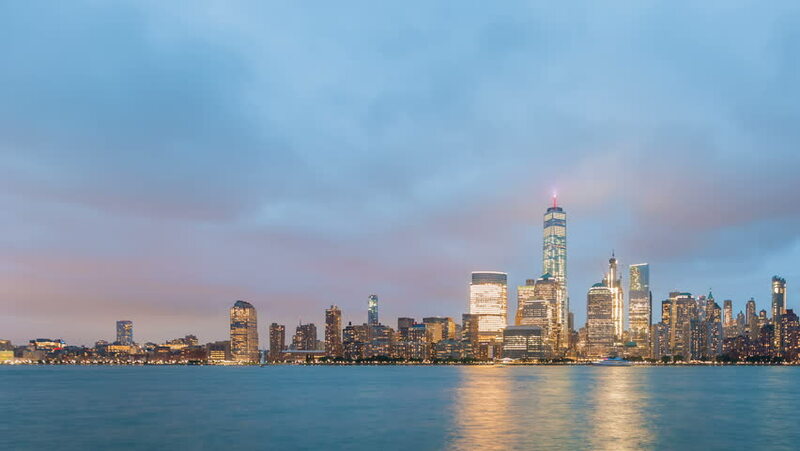 Lower Manhattan skyline featuring Tower One World Trade Center. Viewed from New Jersey. hd00:15MARINA BAY, SINGAPORE - CIRCA MAY 2017: Singapore city skyline of Marina Bay, Singapore.